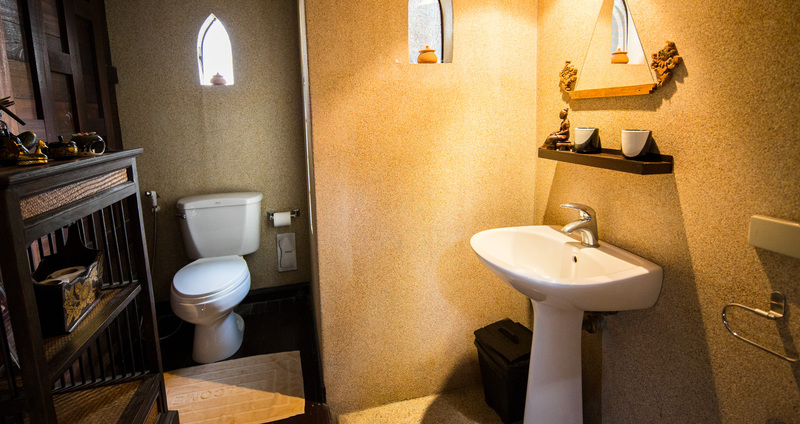 A Thai Design room with small garden for privacy. 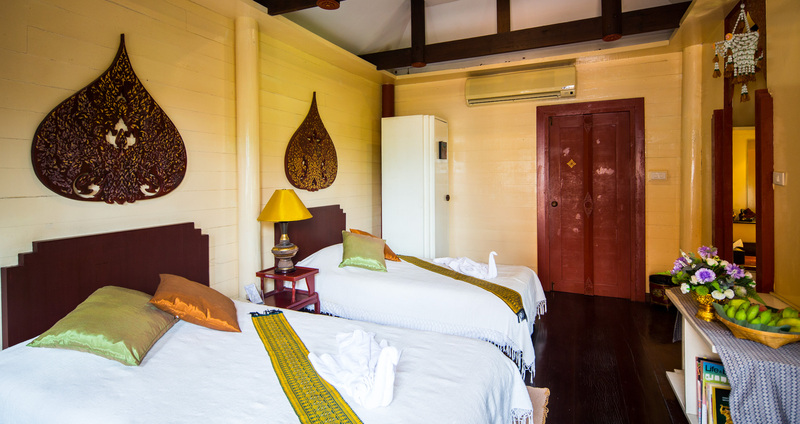 The room is located near the shade of a Leerawadee tree, the white flowers symbolize "Good Luck". Under the shade, one might sit having a cup of tea looking at the river. 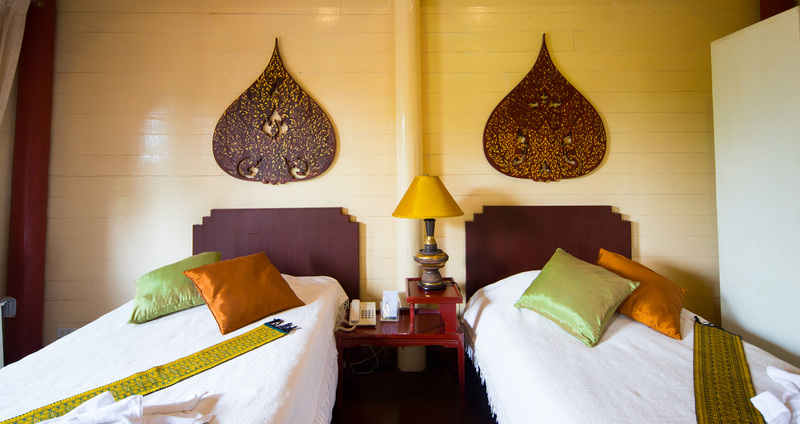 The room is uniquely decorated with interesting antiques to make your stay a memorable one.